Very good comments from differents sides of the issue. (but wouldn't expect much else). Their seem to be many parallels with Pat's story in this early chapter of what could be a wonderful story for all concerned. Hope it last as long and as importantly to "Tennessee lore" (the state, not just the school and and all women's basketball) as Pat's has. Not surprising, really ("the gender card"). Look at the Metoo movement and how men are portrayed. 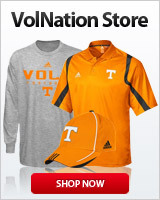 I too value the LV4L aspect, not that a non-ladyvol would be a deal breaker. I would be happy to have anyone who can make our team look well-coached and be competitive in the conference year-in and year-out. I'm not looking for another 3-peat NCAA champ coach. I Pat was a special coach at a great time to do that. Excited about KJH and I think we have good times ahead. If some young player has grown up being a fan of the Lady Vols — and many Tennessee’s signees often say they have — then the idea of joining the very special basketball sorority that is the Tennessee Lady Vols is a powerful draw. If a man or a woman who is not a part of that sorority takes over imagine that, for many, that circle would be broken. Love ,care, loyalty,and most importantly cheap. Let's hope the 3 point shooter from Australia stays, she is needed....The 3 ball is so very important in modern basketball, something the former coach did not cherish. I think that I read that Holly had a contact in the country that hooked her up the recruit. A visit was scheduled here in the states, but cancelled when Holly left, but according to the contact UT has the option to reach out to the recruit if still interested. I think this may have been the lady that would be a late signee for this upcoming year. Kellie probably hasn't spoken to the Aussie recruit yet because she needs to have a translator on the call with her since I doubt Kellie speaks Australian. I think having the Harper children around will do much to instantly lighten the overall mood of the team from this past season when it was obvious that a negative energy had taken hold and wouldn’t let go. There are so many reasons to suspect that hiring Kellie Harper could actually end up making Phil Fulmer and his advisors look like geniuses as time passes. I think reading the parents' comments about her being female and a former LV is interesting. I wonder if it had any bearing on PF's decision. In an age where many posters (at least here) bemoan modern players seeming to feel entitled and whatnot, having a female coach who is focused, driven, and never gives up could be pretty damned important. Star athletes, male and female, in all sports have unfortunately been treated as prodigies and stars from middle school onward and haven’t got a lot of experience in humility, self-sacrifice, and making team success more important than personal success. I’m very optimistic that CKH can model these essential values to help LVs be the best they can be, both as players and as human beings. The Aussie kid is only a verbal commit, not a signee. Should have hired Fargas if that is the case. Correct, that is what I understood. She had given a verbal, but nothing had been signed. I don't think Holly had even personally met her, just the person who had brought in Lou Brown also knew this girl and put them in touch. I suspect Holly was looking for another guard to add because she felt she was going to have transfers at the guard spot. If everyone decides to come back I could see them rescinding the offer. When they were allied with Hungary they were almost untouchable. I don’t think she’s signed. Reporter asked Kellie and she looked to the side and said she couldn’t comment. No she is not signed from what I understand and I heard Kellie have to wiggle a little about her legally able to answer the question. If she is the shooter of the 3 I would be greatly surprised if she did not still come for the visit and get to know Kellie better!! There is a clip within that link of KJH talking to the media after Mizzou St. wore orange warmups for a We Back Pat game. It could just be me, but her voice sounded like CPS. At the press conference, CKJH seemed unaware that there was a recruit from Australia. Last I checked, Australians spoke English. Oooh....perhaps I misunderstood CKJH's reaction. For the record, I think it's a good hire. Why the need to clarify that Australians speak English? Was that ever in doubt?